An Artesia man has been sentenced to 40 years of hard labor following an investigation into interstate narcotics trafficking. 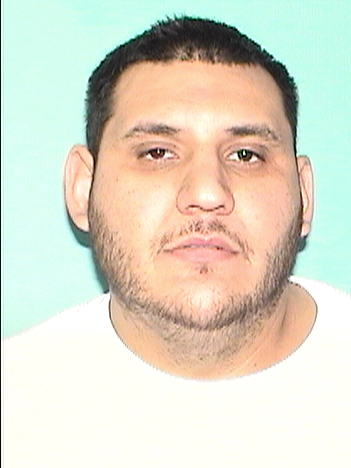 The Pecos Valley Drug Task Force and Eddy County Sheriff Mark Cage reported today that Christopher Granado, 35, of Artesia, pleaded guilty to one count of racketeering and was sentenced by Louisiana Judge C. Anthony Eaves to 40 years’ hard labor at Angola Prison in Angola, La. The conviction was the results of a nine-month investigation into narcotics trafficking between Artesia and Vernon Parish, La. Over the course of the investigation, Granado was identified as the individual responsible for transporting large amounts of methamphetamine from Artesia into Southwest Louisiana. Related arrests and indictments of seven other co-defendants exposed a significant network of illegal narcotics within Vernon Parish. Granado was responsible for trafficking hundreds of pounds of meth within Artesia and surrounding areas, including as far away as Louisiana. PVDTF agents worked collaboratively with other narcotics agents to investigate the case, including the Louisiana State Police Special Investigative Unit, the Office of Homeland Security, the Drug Enforcement Agency, and the Vernon Parish Narcotics Task Force. “This is a great example of teamwork and outside agencies coming together to disrupt and dismantle a drug trafficking organization that’s sole purpose is to distribute poison for profit to our communities,” said PVDTF Cmdr. Lenin Leos. Leos advises anyone interested in reporting criminal or drug activity to the PVDTF or other law enforcement agencies to contact Crime Stoppers of Eddy County online or by phone at 844-786-7227. Individuals seeking treatment for drug addiction are also encouraged to contact the PVDTF at 575-887-5194 for help in locating resources.